Website traffic is the only thing site owners are concerned about; if not the only thing, it is at least what they are most concerned about. The whole aim of creating a website is to attract a large internet audience which translates into a heavy traffic. 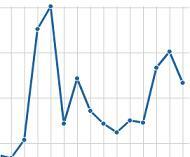 The higher traffic a website receives, the more other companies want to advertise on it. And as most you already know, online advertisements are a site owner’s primary income. Therefore carefully monitoring the traffic of our site and its activity is essential to a site owner. If you are a site owner, there is a good chance you use a tool like Google Analytics to keep an eye on your site’s traffic. Amongst other things, observing the traffic trends can tell you how the site visitors are reacting to any changes you make on your site. While Google Analytics is a great tool for basic traffic management, some site owners might want a more extensive and thorough observation of their site’s activity. For that purpose ClickMeter was created which allows users to click-track their website in real time. ClickMeter is an absolutely free to use website that provides users with a number of click-tracking features. TO start off we must register for a free account. The next steps are easy. Simply add the URL you want tracked, note down its tracking URL which ClickMeter generates, and paste this link around the internet. As users will click on the link you publish, ClickMeter will record visitor clicks to, from and within the website you added. Tracking features include real-time statistics, unlimited tracking-links, IP address, click-fraud detection, detailed IP analytics, campaigns comparison charts, and finding out which part of the globe users are clicking your link on. 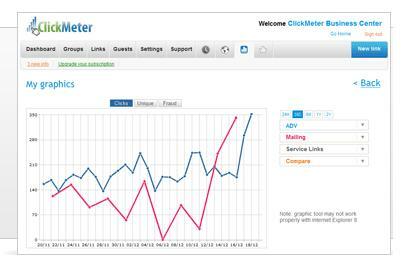 A highly resourceful tool, ClickMeter is a necessary tool in any site owner’s arsenal. Next Entry: Rumor: Apple to Offer Pre Orders On iPad as Early as Next Week?